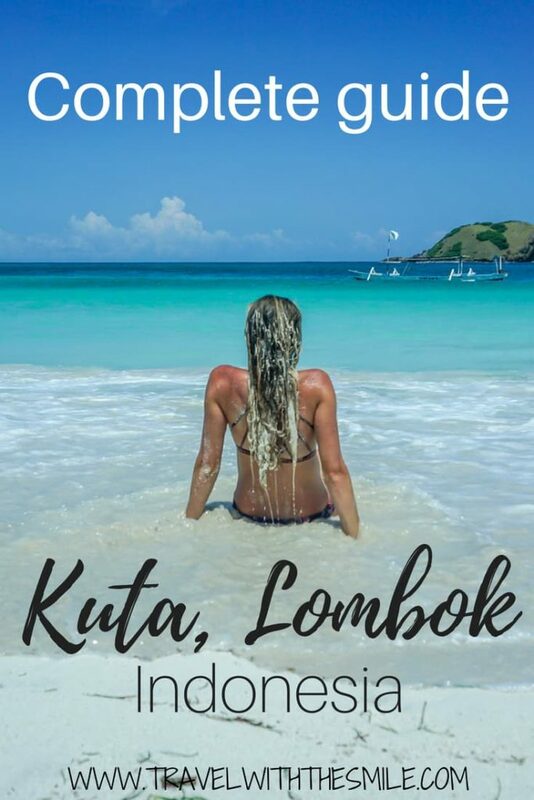 Kuta, Lombok in Indonesia is a perfect base for all travelers. It’s surfers’ paradise, beach bum’s paradise and everyone in between. 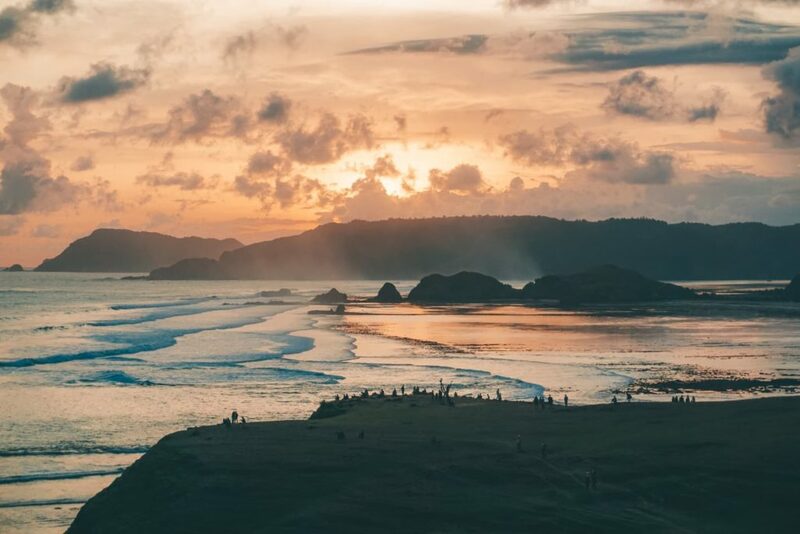 Its chilled out vibes, friendly locals and many adventures for active people is why we fell in love with Kuta in Lombok. Even though this little fishing town is catching up to tourists demand and a number of homestays are growing, the charm and emptiness of the beaches will take your breath away. And you better hurry up, a big hotel is going to be built on the most beautiful beach Kuta has. I’m sure the beach will remain beautiful but the number of people visiting Kuta in Lombok will grow rapidly. 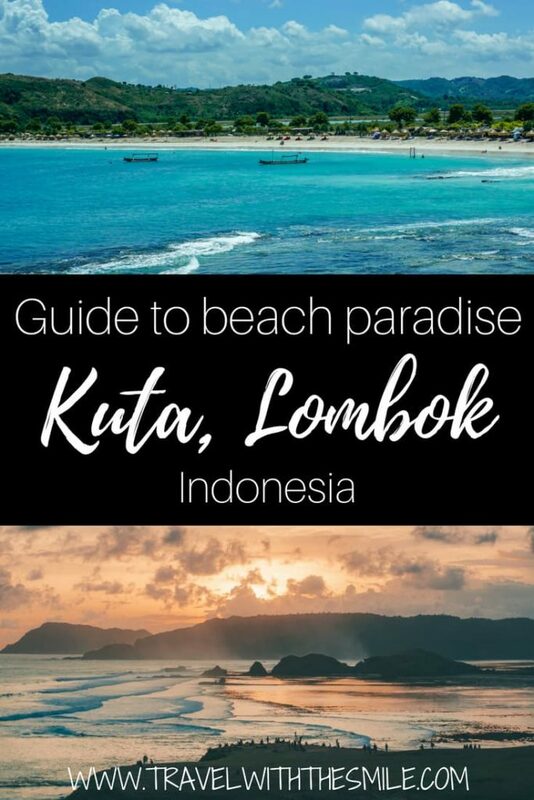 All the tips we have and all the amazing activities that Kuta has to offer are right here, so keep on reading. By ferry – if you’re arriving in Lombok from neighbouring islands Bali, Sumbawa or Gili Islands, you can take a ferry. There are a slow boat and fast boat option. From Bali, the slow boat takes around 5 hours for 4 USD and it’s mostly used by locals. Given the frequent incidents of these boats, I’d recommend going by fast boat, it takes 1,5h and costs 25 USD per person. We used a slow boat from Gili Air to Lombok for 12,000 IDR (0,8 USD) per person, it took 15 minutes and the boat departs when full (which is very often). The ferries leave from Padang Bai Port in Bali and arrive at Bangsal in Lombok. You would then need to take a taxi to Kuta which takes around 2 hours and should cost around 250,000 IDR (18 USD), it’s essential to haggle for this price. 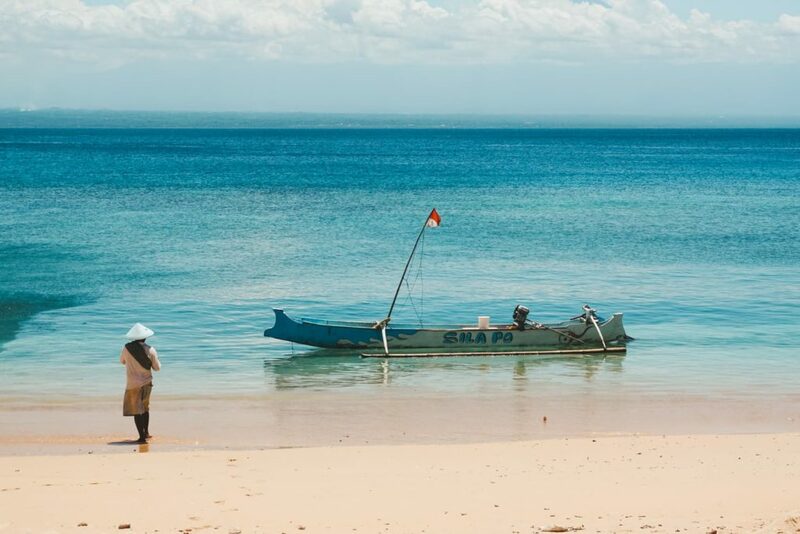 It’s not necessary to buy a ferry ticket in advance, there are many companies with fast boats leaving Bali several times a day and they always have space. If you’re short on time, you can buy a ticket online in advance. 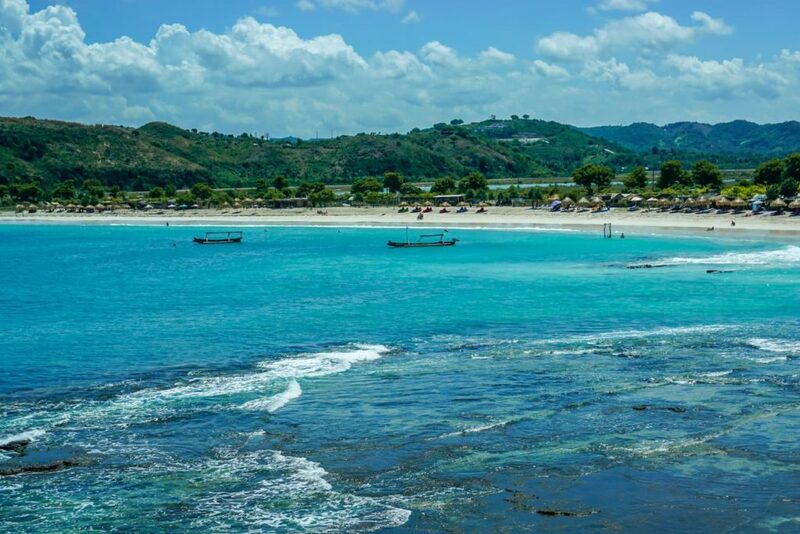 By plane – Luckily for us, the international airport in Lombok Praya is only 20 minutes away from Kuta. We arrived from Australia to Bali, booked flight tickets last minute on Traveloka website (Indonesian version of Skyscanner) and flew to Lombok in 20 minutes for 18 USD per person. Taxi from the airport to Kuta took 20 minutes and cost 100,000 IDR (7 USD). Company Blue Bird Taxis use the meter and travelers have good experience with them, or you can agree on a price in advance with any other driver. The most common transport on the island is a scooter. Every homestay or hotel is renting scooters for around 50.000 IDR (3,50 USD) per day. 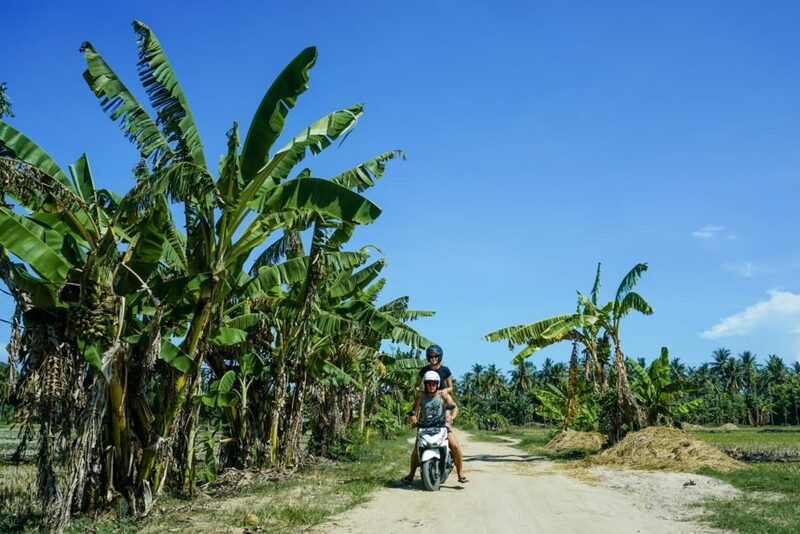 Having experienced traffic on both Bali and Lombok Islands, I can say it’s definitely easier learning how to drive a scooter in Lombok. The roads are not congested at all and you’re not forced by others to go faster than you like. 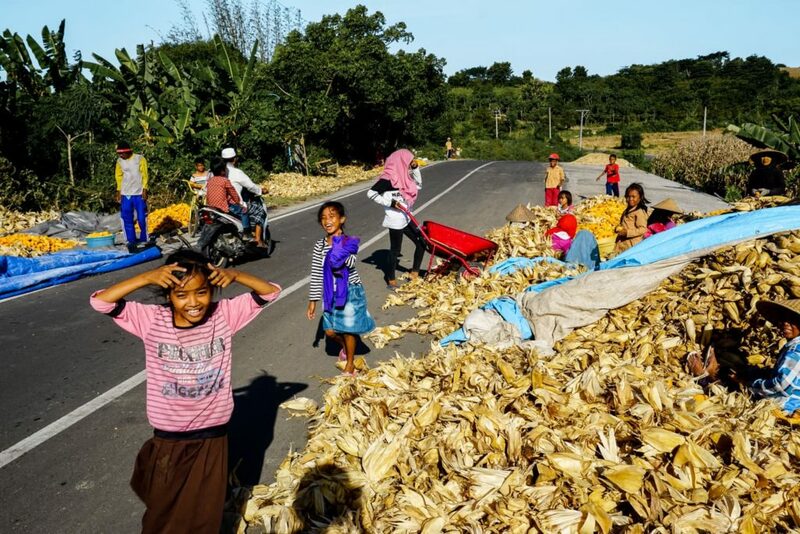 A lot of roads on Lombok are going through construction so the ride on main roads is pretty smooth. Once you leave them though, most roads leading to beaches are gravel or dirt with somewhat big potholes. Just drive slowly and you’ll be fine. The petrol is sold in 1-litre bottles on the side of the road for 10,000 IDR and lasts for 30-40 km. Accommodation options in Kuta often have breakfast included and offer free wifi. 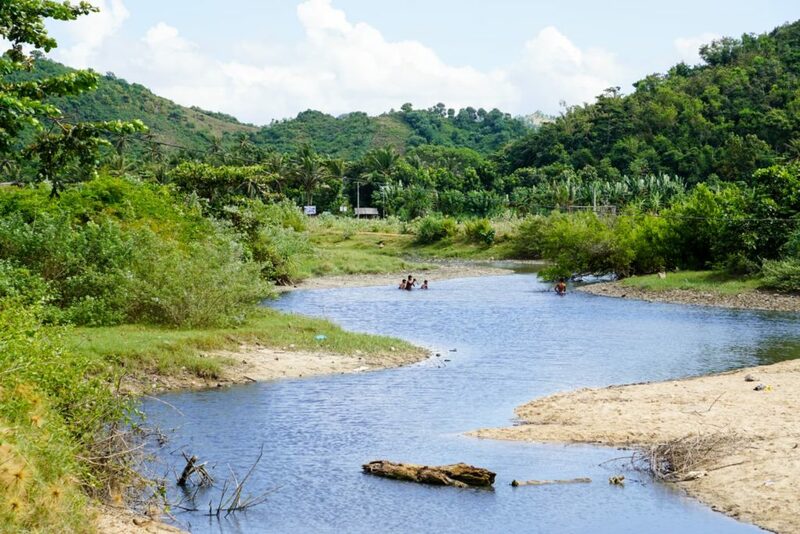 Although the most peaceful options are located a few kilometers outside of the center, we stayed in the center because of the convenience of the restaurants and stores. If you rent a scooter, nothing is far away though. In Kuta, you can find a place to stay for you no matter your budget. Krisna Homestay – we’ve stayed here several nights, had a big room with air-conditioning and breakfast for 13 USD per night for 2 people. The only downside is the location, it’s right next to the mosque and can get very loud. 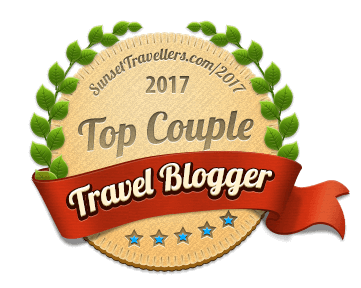 Village Corner Homestay – it has the highest review score for budget options. Only 5 minutes by scooter from the center, double room with air-conditioning and breakfast included costs 12 USD. 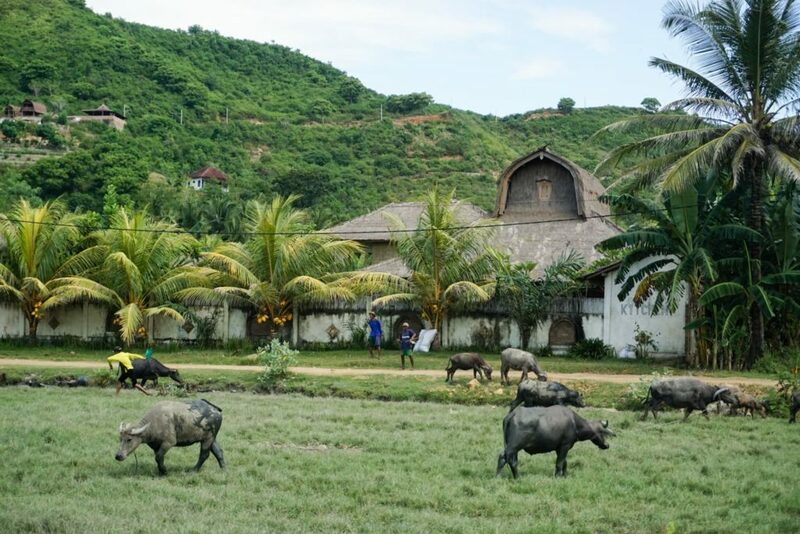 Tri Putri Homestay – it’s close to the center and they have a swimming pool. 25 USD for a double room with air-conditioning (but no breakfast) sounds good to me. Lazy Inn Kuta Lombok – same as above including breakfast for 30 USD. Rascals Hotel – a double room in this 3-star hotel with a swimming pool including air-conditioning and breakfast is around 70 USD per night. It has the highest review score between mid-range options. Mana Yoga Retreat – we’ve visited Mana for a yoga class and dinner both of which were amazing. They have a huge garden with pool, yoga room and a double room with air-conditioning and breakfast cost around 65 USD per night. 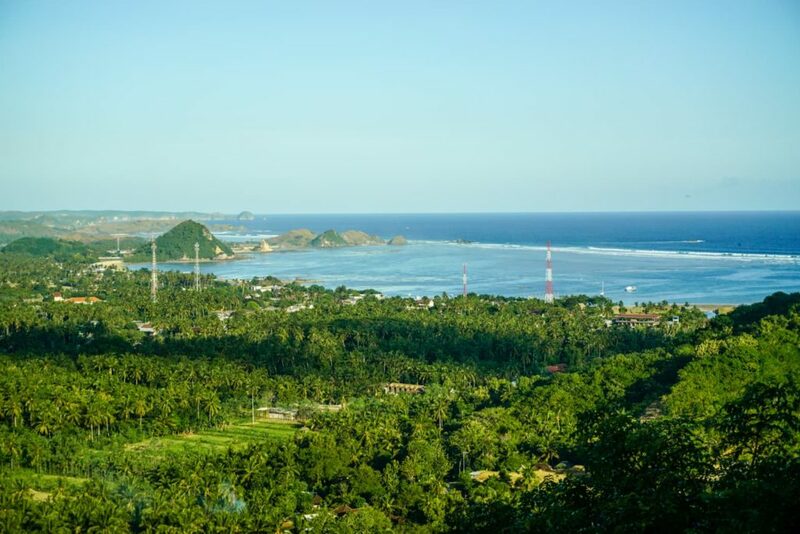 Since Kuta is a surfer’s paradise, it’s easy to find the waves here suitable to your level. We loved surfing at Tanjung Ann Beach, the most beautiful beach in Lombok. You can read about our experience here. For more options and surf breaks for experienced surfers, read this article. 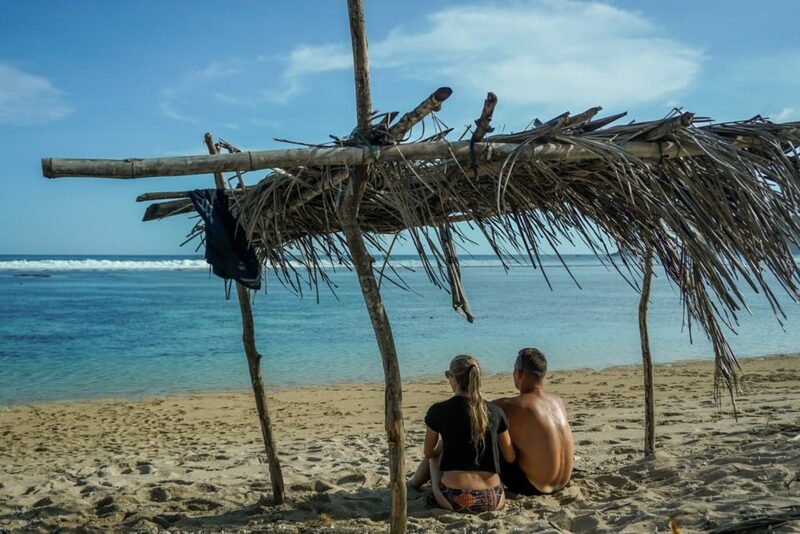 Some surf schools are also organizing snorkeling trips to Pink Beach or Gili Nanggu. We’ve tried snorkeling on the beaches mentioned below but there wasn’t much of a marine life or corals. You can combine stand up paddle boarding with snorkeling trips mentioned above or go for a paddle in the bay of Kuta Beach. For one of a kind experience, try SUP night tour. You would head out at sunset and paddle in dark on a stand-up paddle with built-in coloured lights. From beginners to experienced, you can try kitesurfing in Kuta. I so wish we could try this but the wind was too weak when we were in Kuta. Advanced scuba divers can go diving with manta rays which sound amazing to me. Other dives are usually organized on Gili Air or Gili Nanggu. There are two yoga studios in Kuta. We’ve visited Mana for the donation-based weekly class on Tuesday. They have a few regular classes every day, drop-in class costs 100,000 IDR (7 USD). I have to mention this. One sweet girl at a massage place right next door from our Krisna homestay saved me after the surfing lesson. As a newbie surfer, I was sore all over my body. So I went for a massage a few times. Best invested money – 60,000 IDR (4 USD) for 30 minutes plus tips because she was so good. Pink Beach is on the south-east corner in Lombok and takes around 2 hours on a scooter to get there. The last half an hour is on a bumpy gravel road and I’m glad we made the trip. The beach was almost empty with few fishermen hanging around. The sandy beach had a pink hue and we were the only ones swimming there. You can rent a kayak on the beach, have a fresh coconut or ask a fisherman to take you to a snorkeling spot nearby. 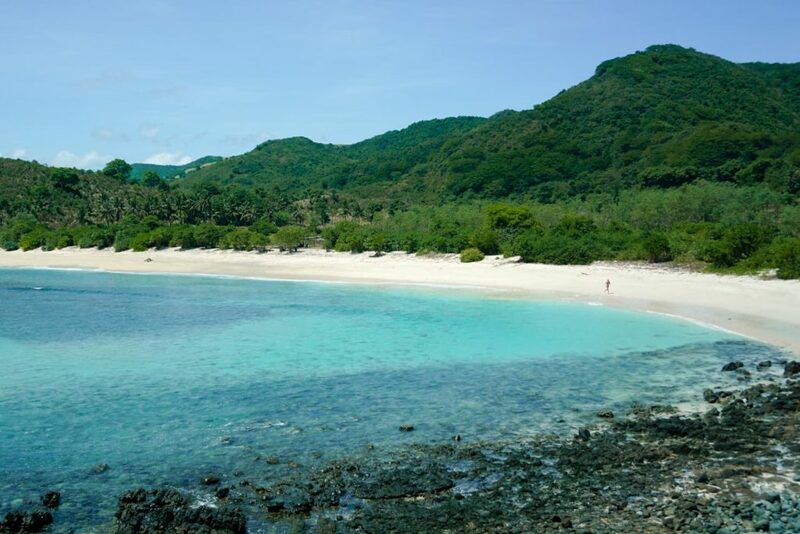 Tanjung Ann Beach – closest to Kuta and the most beautiful beach in Lombok. There are warungs and swings on the beach, sun beds, umbrellas and even stand up paddle board rental. 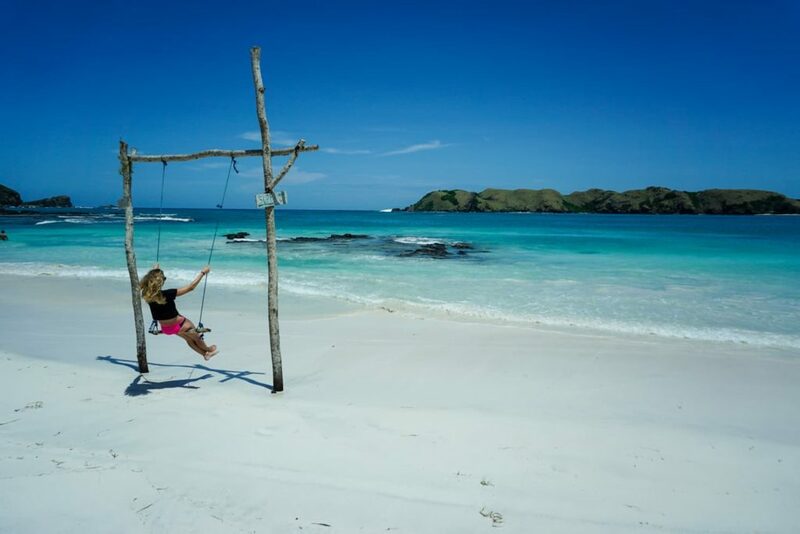 Pantai Semeti – there is absolutely nothing and nobody on this beach. Just white sand, turquoise water and unfortunately for swimmers, a strong tight. 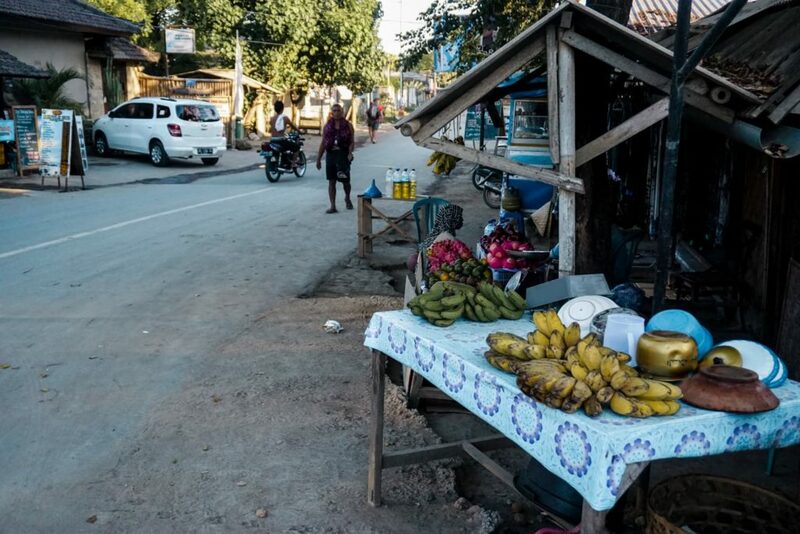 Plenty of small supermarkets and street stalls with fresh fruit are scattered around Kuta but you will have a hard time finding a kitchen in the homestays to cook your own meals. I guess it’s because eating out in this case is cheaper than cooking. Kuta has a nice mix of western, eastern and local Indonesian cuisine. Walking the streets in the center you can find a sushi or burger place, Italian restaurant, vegetarian restaurant and countless warungs (small local restaurants) preparing Indonesian food or fresh seafood. Nasi Goreng – a staple meal in every single restaurant you find in Indonesia. It’s fried rice with veggies or meat. Popular because it’s quick and cheap lunch, less 2 USD. Ask in warungs on the street, you shouldn’t have difficulties finding these. Both are cheap and fulfilling, even though it may sound unhealthy, they are staples on Indonesian streets. Boom burger – this place was packed every night. They have burgers, burritos, pancakes, soups, fresh juices and more for the very good price. The Mexican in Town – my favourite food is Mexican wherever we are. So when you get tired of Indonesian food, this is a nice place to go. Mana – we’ve had a dinner at Mana after their yoga class and it was delicious. Prices are a bit higher than elsewhere but you can find here acai bowls or beetroot burgers. After you enjoyed Kuta, I’d suggest going north to Senaru and climb an active Rinjani volcano. 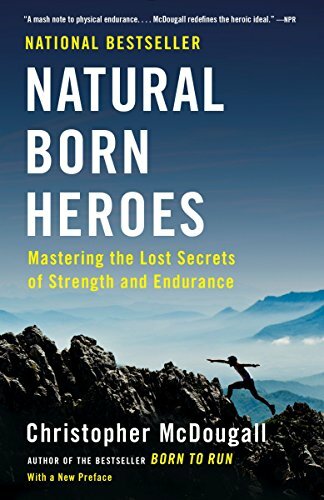 A decent fitness level will eliminate your suffering from this hard but incredibly rewarding trek. 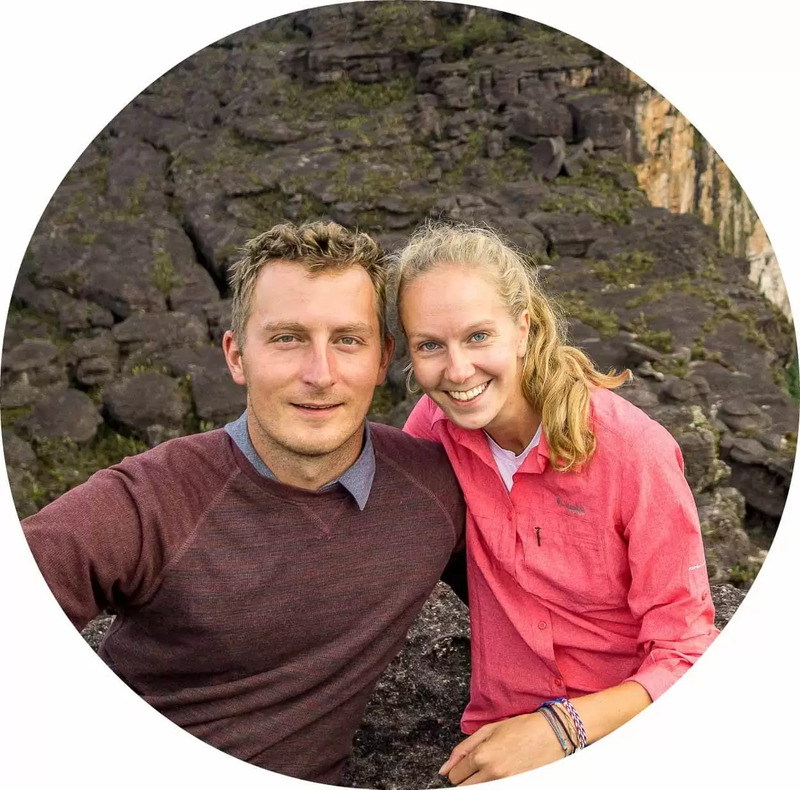 It can be done in 3 days: you will climb the highest point of Lombok, see a huge crater lake and a few active volcanoes from the top. Just bear in mind this trek is closed January-March every year due to the rainy season. North of Lombok also has many waterfalls which are worth the visit. 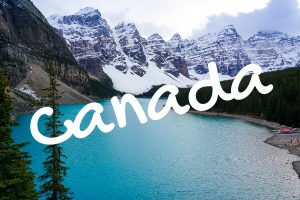 You can explore them before or after the trek. We’ve seen a few waterfalls after the trek and then headed to Gili Air, a quiet and pristine paradise. There are no cars on the island and beachfront restaurants have live music. Suffice to say, it’s an ideal chill out place after the Rinjani trek. Then you can base yourself in Senggigi and explore Taman Narmada water park or waterfalls in central Lombok including an awesome adventure at Benang Stokel and Benang Kelambu. 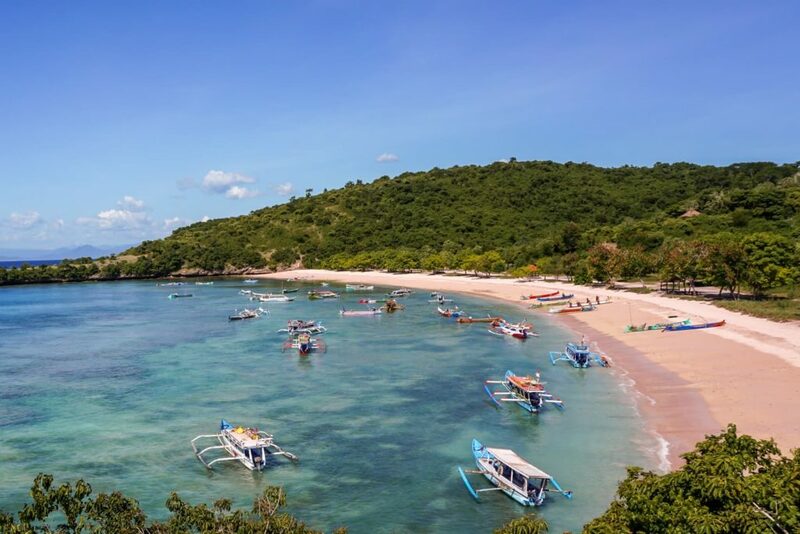 Senggigi is right next to the Bangsal port from which you can take a fast boat to Bali, although we recommend spending more time in Lombok than in Bali.